Toby the Little Lamb is a delightful Christmas story. When Toby and his friends make plans to give baby Jesus a big party to welcome him to the world, the evil lion, Darcsen, and his hideous wolves try to stop the celebration. Through faith, friendship and courage, the celebration goes on. Toby sees the bright star and moves toward the manger. With joy in his heart, he kneels at the feet of baby Jesus. 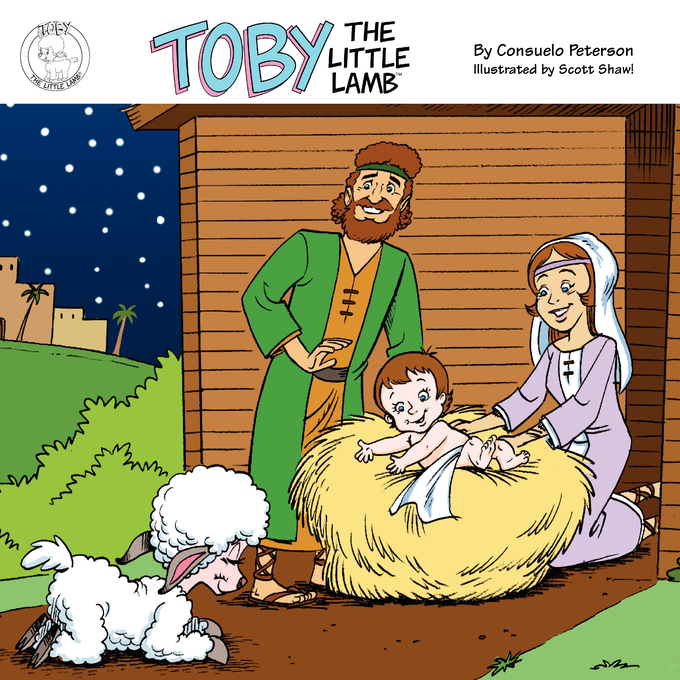 Toby The Little Lamb by Consuelo Peterson was published by Toby the Little Lamb in May 2007 and is our 46548th best seller. The ISBN for Toby The Little Lamb is 9780979491306. Be the first to review Toby The Little Lamb! Got a question? No problem! Just click here to ask us about Toby The Little Lamb.